Powerchairs can be straightforward or complex depending on the needs of the user. 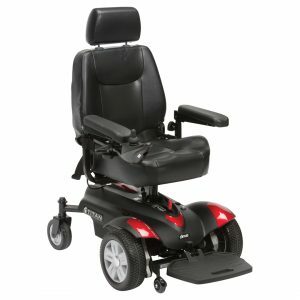 Seek independent advice and try the Powerchair of your choice before making your decision to purchase. You can also convert some manual wheelchairs to powered by attaching a Power Pack. H&M have a vast range of Powerchairs, Mobility Scooters and accessories both instore and available through our selective range of quality suppliers. Our highly trained friendly team are here to help you choose the right product to meet your needs.